EDWARD SIWELA'S 13-year-tenure in the Sport and Recreation Commission came to an end yesterday when Youth, Sport, Arts and Recreation Minister Coventry dissolved his board. The Minister wielded the axe on the sports regulatory body's commissioners, who still had a year of their tenure to go. It emerged that Coventry, who is away on International Olympic Committee business had directed her ministry through its permanent secretary Thokozile Chitepo to dissolve the Siwela board. The other members of the board that has been shown the door include Siwela's deputy Lilian Mbayiwa, John Falkenburg, Keith Goddard, Clemence Mukwasi, Titus Zvomuya, Nicholas Vingirai and Joseph Mungwari. Chitepo could not be reached for comment despite repeated efforts but sources close to the goings on at the Ministry indicated that Coventry was keen to have a new board that fits in with the government's vision in the Second Republic. "It is true that the board was dissolved yesterday and it was the Minister's decision. The full reasons have not yet been availed but it could be in line with the new trajectory which government is putting in place where they also want people who will implement the Vision 2030,'' the sources said. Siwela, a long serving member of the Sports Commission board had been in the institution's top policy making body since 2005. He rose to become the leader of the board following the death of then chairman Joseph James. Siwela's sacking is likely to be welcomed by many neutrals and some associations amid genuine concerns that his board had long lost its plot as they sought to put their energies on personality clashes at the expense of sport in the country. The dissolution of the board also comes nearly two months after a damning audit report raised the flag over the Sports Commission's capacity to continue as a going concern. While to his credit Siwela ensured that the Sports Commission continued to organise the national Youth Games even in adverse economic conditions, his lows far outweigh his highs, making his tenure at the helm of the regulatory body a failure. For a man who prides himself as a corporate governance guru, with his failure to effectively supervise senior management at the Sports Commission, Siwela will walk away from the institution knowing he could have done better and set an example for all the associations under their wings. The outgoing chairman and acting director-general Joseph Muchechetere are also subject of an investigation by the Zimbabwe Anti-Corruption Commission for alleged criminal abuse of office. The pair has separately appeared at the Harare magistrates court where their cases were remanded to October 19. Muchechetere who has been acting director-general since April 2016 when Charles Nhemachena's tenure expired was an ex-officio member of the Siwela board. But those close to the goings-on at the Sports Commission have indicated that the board had become a two-man band with Siwela and his director-general running the show with the rest of the board reduced into rubber-stamping the bulk of the decisions. 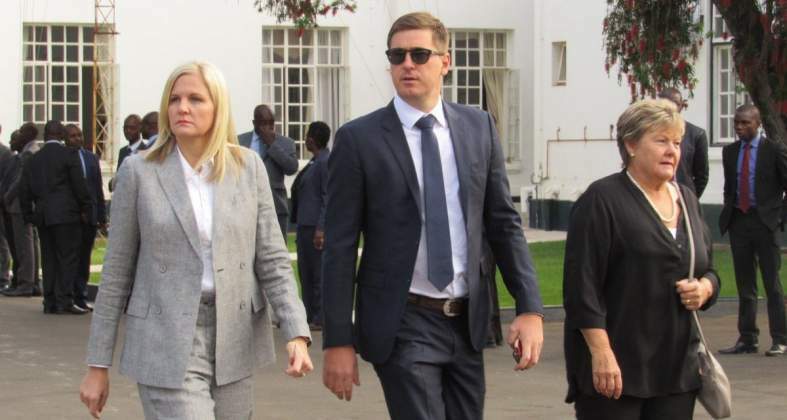 However, the arrest of the two principal figures at the Sports Commission on charges of abuse of office also threw the spotlight on the decision to use the regulatory body to launch a forensic audit into the affairs of Zimbabwe Cricket. The Sports Commission have also been at loggerheads with Zifa over a number of issues, including accusations from the football controlling body that the SRC are part of a shadowy syndicate which has been trying to destabilise operations at the football controlling body. Muchechetere and Siwela have - in particular - been singled out by Zifa leaders for meddling in their internal affairs. Muchechetere's arrest and appearance in court is expected to open the lid on problems rocking the sports regulatory body amid accusations he allegedly took advantage of his position to abuse the trust bestowed on him. He allegedly opened two bank accounts, which were parallel to those of the SRC accounts, where he received donated funds from foreign organisations amounting to $2 132 384. Siwela's board also sat on a report that had declared Zifa insolvent and did not act to stem the association's debt from spiralling into over $7 million as the Deputy Sheriff became a regular visitor at the football mother body. The Sports Commission's meddling in the Zimbabwe Rugby Union almost attracted an international ban by World Rugby while their interventions in ZC's affairs were also questioned.